Bennett House is a 3 Bedroom executive style house, cosy in winter and cool in summer. A short stroll to the Wimmera river and a few doors away from Bennett Rd milk bar. Bennett House is situated on the same street as the Racecourse which is host to numerous events every year. Pay by card facility,if for business or pleasure. You are welcome to bring your pet, back yard is totally closed in creating a safe environment. We feature a laundry, 2 toilets and bathroom with bath, separate shower, 2 large bedrooms, one with queen bed and one with double bed plus single, plus another bedroom with bunk beds and king single bed. Also there is an enclosed backyard to keep the children entertained. All linen, towels ect are supplied you only need to bring your own food. 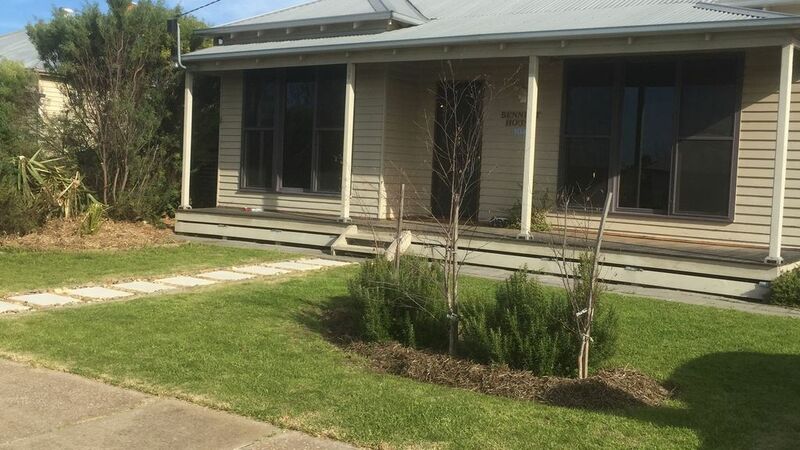 Stroll to the river and do a little fishing lots to see and do you are close to the Grampians and a short drive to Mt Arapalies for hiking, walking or mountain climbing which is world class. Salt, pepper. spices and other grocery items. Back area enclosed for children, pets. Spotlessly clean, well appointed and very comfortable. This property caters for every need, is quiet and central to everything. We have stayed here a number times previously and if available will always be our first choice when in Horsham. This property is nice and big with good size rooms, plenty of chairs, cushions, and small items in the big pantry, nice cold milk in the fridge and cold water also. Good size back yard, quite private with table and chairs on big verandah. We would definitely go back again if up that way for anything. Loved Socks the pussycat, who lives on the property but stays out the front. Would like to see his bed inside a turned on the side box facing the house so hes not laying out in the cold wind at night. I gave him some titbits from the pantry. Only thing we did miss was a can opener, first night chose a meal that didnt have top that came off without a can opener, not anything else missing, has everything trust me. Thanks Julie and Ian a special place close to town. Thank you so sorry the can opener was not there thank you for letting us know will replace. Socks is very spoilt in winter sleeping under house ver rarely sleeps in bed it was bought by a client. So glad you enjoyed your stay safe travels. Perfectly located, Quiet & homely. loved my stay at Bennett House. Comfy beds and since staying by myself was able to use the bathroom as an ensuite as it does adjoin the main bedroom. Lots of nice walking tracks near by too. Thank you so glad you enjoyed your stay. Great location, clean place and close to the main part of town. Thank you lovely to have you stay so glad you enjoyed. Very clean and spacious . Nice owners, very accommodating. Was very happy there with my 2 small dogs. Very pleased to find real milk in the fridge. Looking forward to our stay next month.